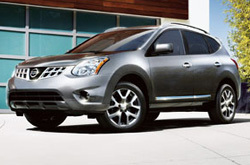 For the full 2013 Nissan Rogue review, please scroll past the video below. All Nissan dealers in Dallas - Fort Worth aren't the same. At Texas Nissan, we feel it's our obligation to supply customers with quality Nissan reviews that set us apart from the typical dealer. Every passage comes jammed with helpful material, specs and research - just what you need to make sensible decisions on your next Nissan Rogue purchase. 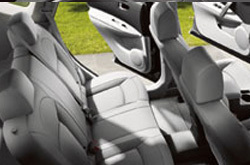 As always, Texas Nissan is available seven days a week to answer any questions you might have. Don't hesitate to call and speak with a representative. By examining the 2013 Nissan Rogue next to the 2013 Toyota RAV4, Hyundai Tucson, Mazda CX-5 and the Honda CRV, and you can catch that the Rogue wins over those autos in gobs zones. Get a load of the hightlights below. Texas Nissan auto repair and service in Dallas - Fort Worth is just a click away! Your Nissan deserves to be treated correctly - that means Rogue factory- trained Nissan technicians, the sense of bliss that comes from a 12-month service work warranty and real Nissan parts and accessories. Your Rogue will run strong with maintenance from the old pros at our Dallas - Fort Worth service center. For ordinary oil changes and other Nissan services like brake pad swaps and fuel filter replacement, come to us. We even work on arduous undertakings with without breaking a sweat, including jobs like shock and strut repair. It's very simple: If you want old pros service and budget-friendly repair prices in Dallas - Fort Worth, make Texas Nissan your first stop for Nissan vehicle maintenance. Follow the link below to see our current service specials.